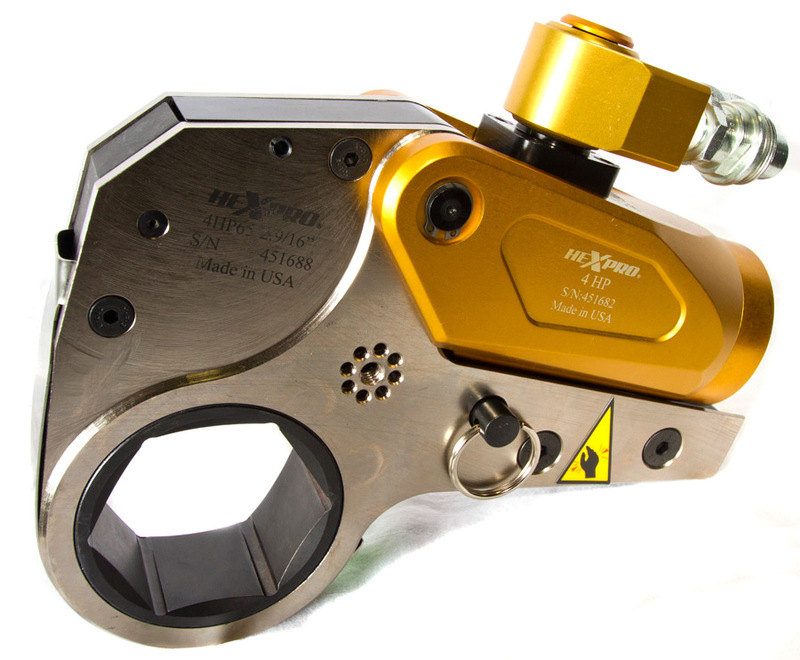 The versatile HexPro Series low profile hydraulic torque wrench supports an extensive range of interchangeable hexagon ratchet links, offering a torque range of 150 lb-ft to 30,000 lb-ft. It delivers precision torque during bolt makeup and maximum torque for bolt breakout. Ratchet links are interchangeable with some other major brand tools.